Today is a big day for my business. I have worked out three packages that I will offer to my clients. I also have booked my first photo shoot for this Saturday at 9:30am. I'm so excited to post the pictures up. 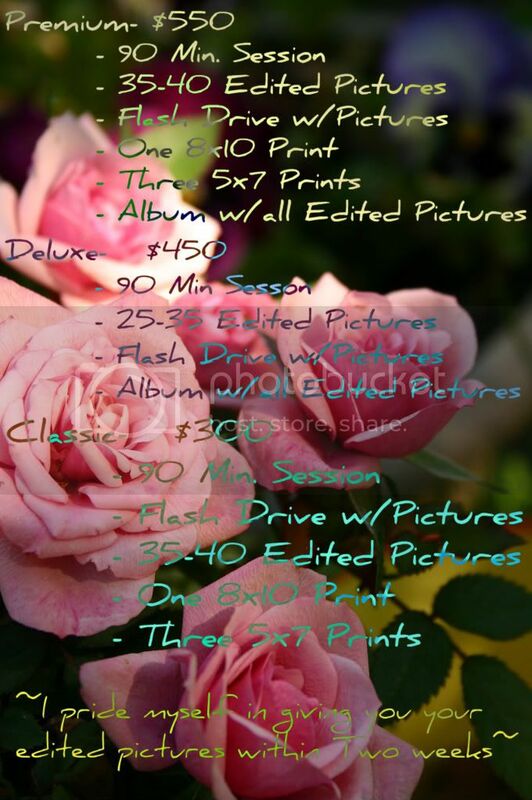 Anyway here are my prices! your family looks beautiful! so do your pictures!